Music for the people could have been the motto for 17th-century German composer Michael Praetorius. 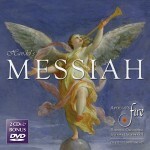 He adhered to the ideals of Protestant pioneer Martin Luther – of whom his father was a disciple – that music, like religion, should be open and free to all. Praetorius was an extraordinarily versatile composer and, along with J. S. Bach, was one of the greatest composers of Protestant church music in Germany. With his music, he strived to bring together people of all walks of life – professional singers, congregations, villagers and children alike. 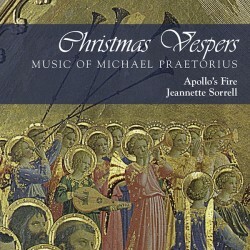 Like the Vespers settings in the 17th century – most notably the Vespers of 1610 by Monteverdi, who inspired Praetorius – this Christmas Vespers is an assemblage of works by Praetorius that Apollo’s Fire’s founder / director Jeanette Sorrell has compiled. 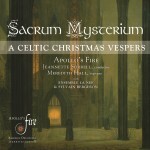 It highlights his virtuosic vocal and instrumental writing and includes as interludes his popular carol settings, O Morning Star and Lo, How a Rose E’er Blooming.